Find free classifieds for Land for sale for sale or to buy in India. FREEADS in India offers you a platform to post free advertisements or classifieds for Land for sale, India. FREEADS in India helps you search, find, buy, sell, rent or hire in various categories like apartments, goods for sale, local services, cars , jobs and many more in India. Shown below are ads available in Land for sale, India. You can use search box above to refine your search. Land Located at Edathara Kattachal Powdikonam Area : 5.9 cents Lorry Access Call : 9847862874 , 9207008966 Properties Marketed By ekeralarealestate.com. Land Located at Mottavila Mannanthala Area : 4.5 cents 2 Side Road Frontage 5 meter width road email id : anilnilavu@gmail.com Call : 9846463371 , 9447554391 (Better to call after 4pm) Properties Marketed By ekeralarealestate.com. Land Located at Vazhichal Kattakada Area : 51 cents Call : 8281284467 , 9744155093 Properties Marketed By ekeralarealestate.com. Land Located near Vinayaka Auditorium Snehapuri Kaimanam Area : 6.14 cents Lorry Access Call : 9447102000 Properties Marketed By ekeralarealestate.com. 1 acre 20 cent land for sale in Kelamangalam (Just 3 km away from kenichira town. ) Main Cultivation: Coffee, rubber Electricity is available. Great location with calm and quiet area. This property very suitable for construct resort, holiday home. Asking price: 20 lakh If you are interested, please contact us for more details. Land Located at Thachottukavu Area : 14 cents Lorry Access Karmabhoomi Call : 7356829567 , 7356651207 Properties Marketed By ekeralarealestate.com. Land Located at Thrijyothipuram Chanthavila Kazhakoottam Area : 14 cents Lorry Access email id : Vimalvijay777@gmail.com Price : 5 lakhs / cent (cego) Call : 7012445460 , 9895470346 Properties Marketed By ekeralarealestate.com. Land Located at Kottampally Kattakada Area : 170 cents Agricultural land Full of Coconut palm trees and Banana trees with irrigation facility Tar Road Frontage Adjacent to Kottampally canal route Call : 9495606080 , 9447545100 Properties Marketed By ekeralarealestate.com. Land Located at at Bhagat Singh Nagar Nalanchira Area : 12 cents Lorry Access Road Frontage Call : 9447427160 Properties Marketed By ekeralarealestate.com. Land Located at Randamchira Road Kariyam Area : 8 cents Square Plot Lorry Access Call : 9447046724 , 0471 – 2301944 Properties Marketed By ekeralarealestate.com. Land Located near Poovachal junction Area : 25 cents land and Old House 3 Bed Rooms old Tiled House in a Property Coconut Trees and Jackfruit Trees are in land Call : 7559095861 , 8301976039 Properties Marketed By ekeralarealestate.com. Land Located at Nettekonam Area : 11 cents 3bhk 1200 sqft house in the Land Two Wheeler Access Call : 9446122446 Properties Marketed By ekeralarealestate.com. Just 9 km away from Pulpally town . Main Cultivation: Pepper. Tarring road frontage property. 10ft private road access. One side panchayath road. Great location with calm and quiet area. This property very suitable for Investment purpose. Asking price: 13.50lakh/acre. If you are interested, please contact us for more details. "On offer, Price reduced for Land Sale"
Land for sale in Puthuppally, Kottayam. Square plot 1.80 acres, Rs1, 70, 000 per cent Price reduced for quick sale as a whole. Panchayat road to the sale property. Darsana international school Pommattam is one boundary. Easy to make small plots for sale if the buyers wish to. 1.5 km to Puthuppally, 7 km to Kottayam town, schools, temple, church, hospitals and all other amenities within 2 km from the property. Land Located at the heart of trivandrum. Area : 90 cents Private road access Call : 9567759555 , 9947836457 Properties Marketed By ekeralarealestate.com. Different types of trees are there. 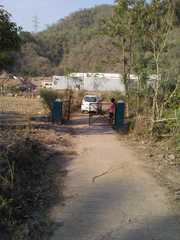 Panchayat road access. This property very suitable for Investment purpose. Property has good location with beautiful hill view Asking price: 25000/cent If you are interested, please contact us for more details. Parrot realty 'Unbeatable real estate service in wayanad. 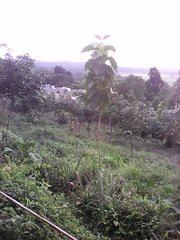 Residental plot in Siliguri at affordable cost of 100000/- per khatt 10 km from airport 8 km from Nepal border 15 km from North Bengal University For details contact..
A farm along with built up structure for sale. SALE SALE SALE A serene farm for the lovers of natural beauty, having 24 hours water, measuring 00-90-28 Hectare (12 Bigha 4 Bishwas) is available for sale at Patwar Circle TrilokPur in Village Mohaliya Khatola, Nahan H.P. near Sainwala-Kala Amb National Highway. Land Located Opposite MG College Kesavadasapuram Area : 19.6 cents Road Frontage Call : 9400882153 Properties Marketed By ekeralarealestate.com. India ads for Land for sale, India, Land for sale free ads India, Land for sale for sale India, Land for sale to buy in India. This page is a classified ads listing for Land for sale India. This listing includes classifieds for sale and to buy in India. If you posted an advertisement on Land for sale, India before please use Edit my ads button to change or cancel your ad. Land for sale India ads India, Land for sale classifieds India, Land for sale free ads India, ads for sale India, ads to buy India, FREEADS in India. Find here ads for sale, to buy and rent in India. Goods for sale in India, vehicles for sale in India, India real estate for sale, India property for sale, property for rent in India, business ads in India, India business classifieds, services in India, India services ads, jobs in India, pets for sale in India, India dating, India cars for sale.